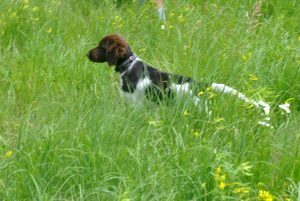 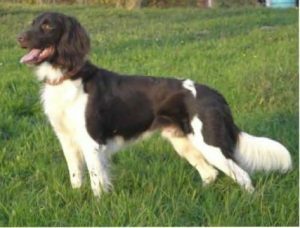 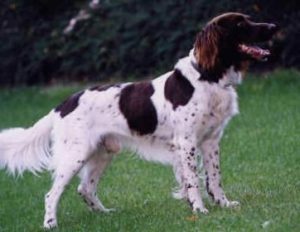 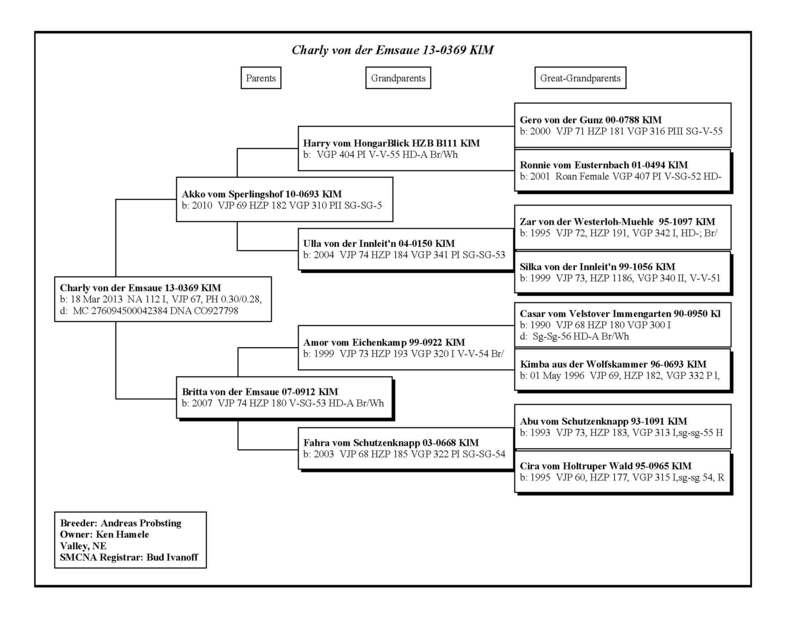 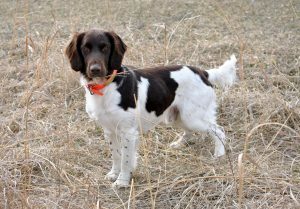 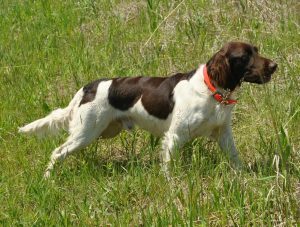 Charly von der Emsaue (Ka$h) is a German import Kleine Munsterlander from Andreas Probsting who hunts grouse, pheasants and quail in Nebraska, Kansas, South and North Dakota. 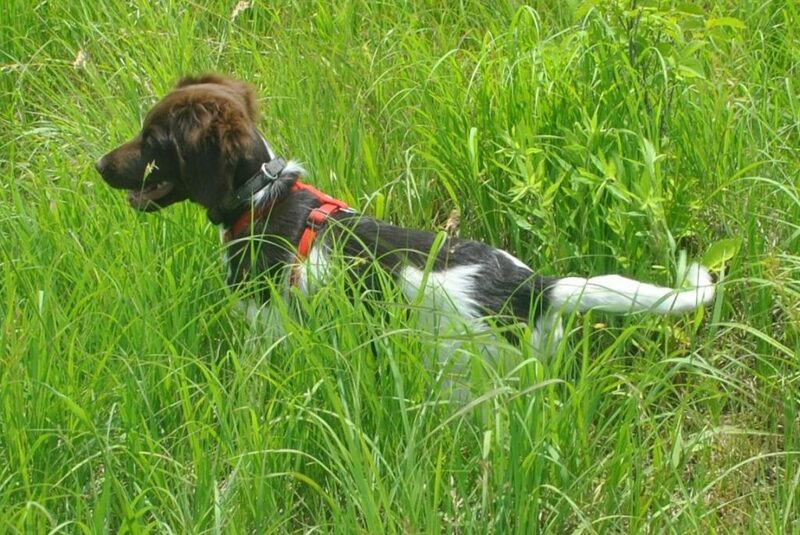 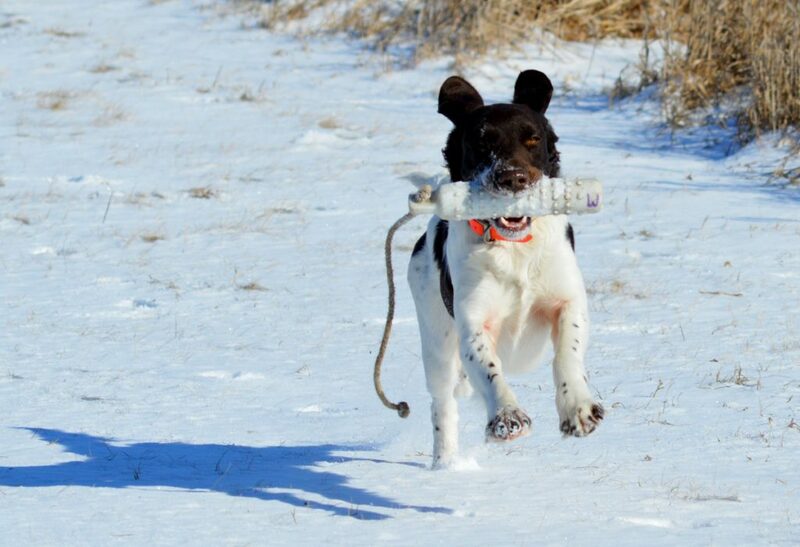 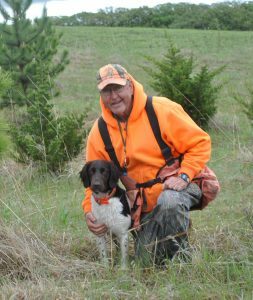 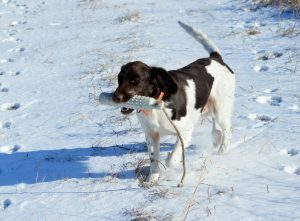 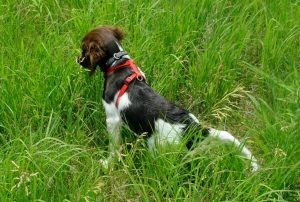 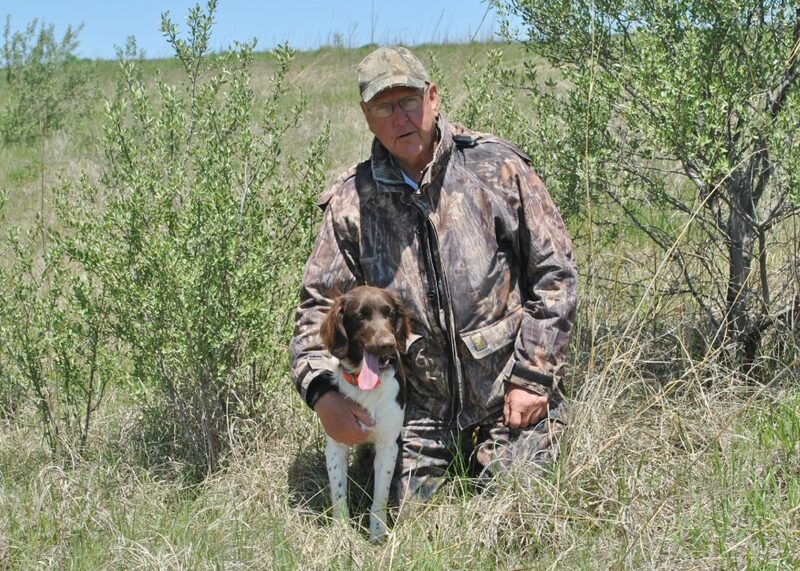 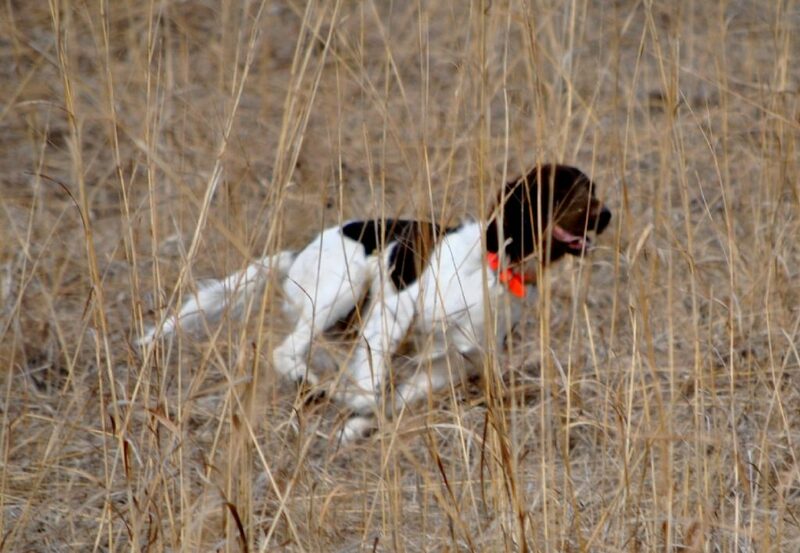 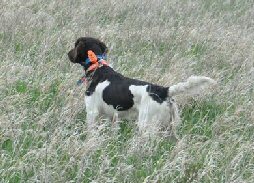 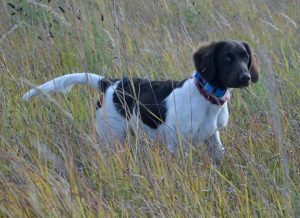 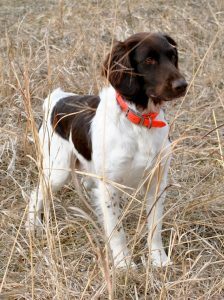 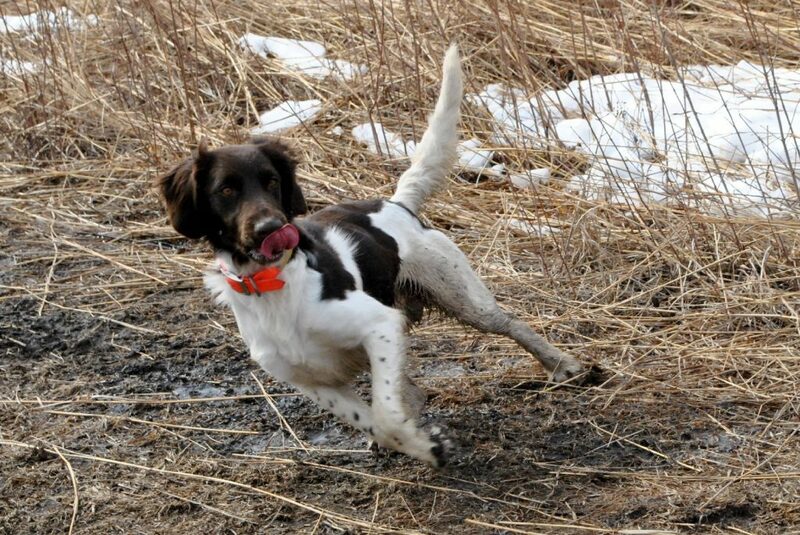 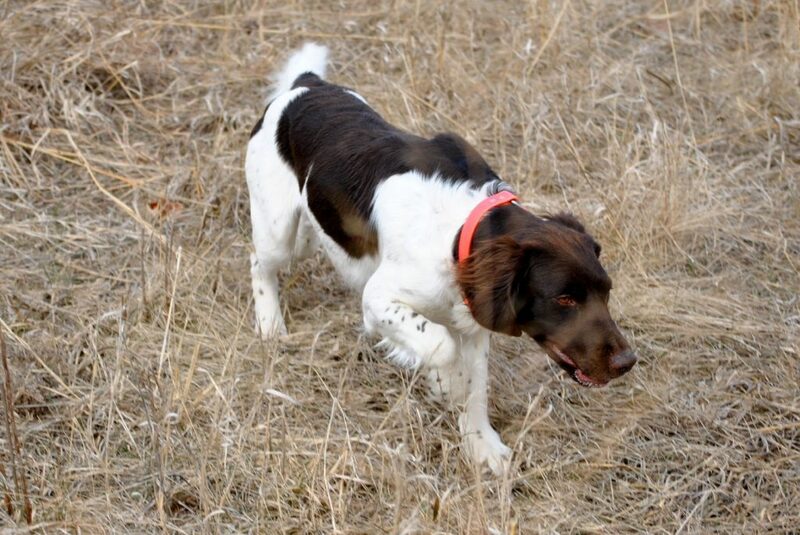 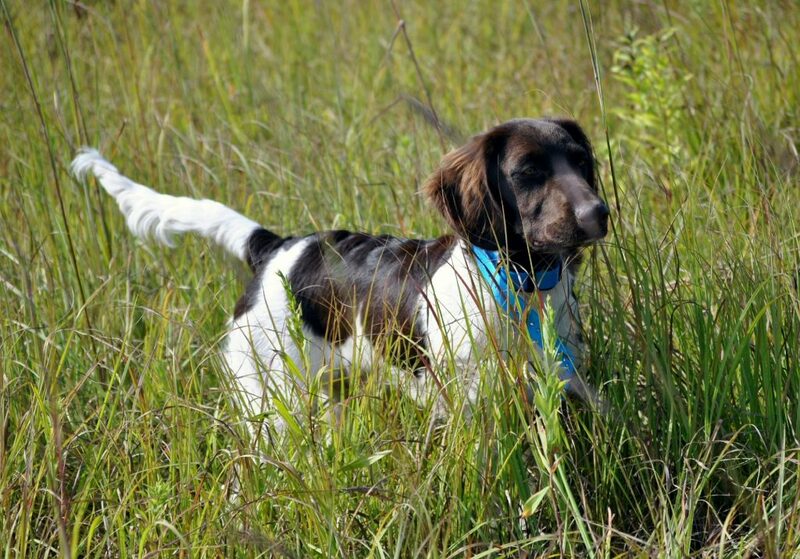 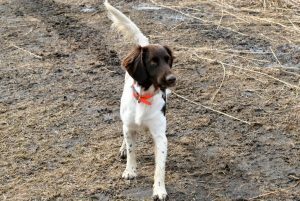 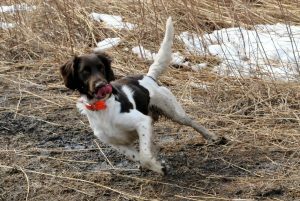 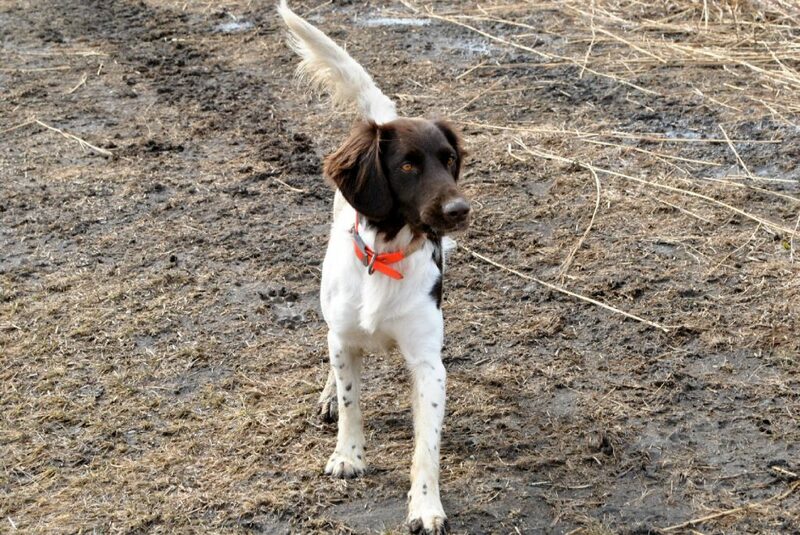 Ken Hamele uses Ka$h as his go to dog at two Nebraska preserves and wild bird hunting in the Midwest. 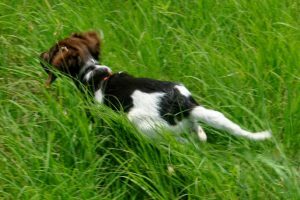 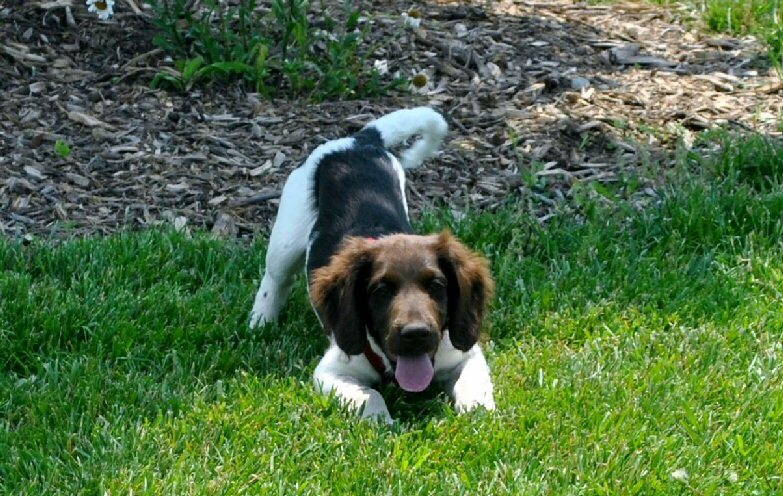 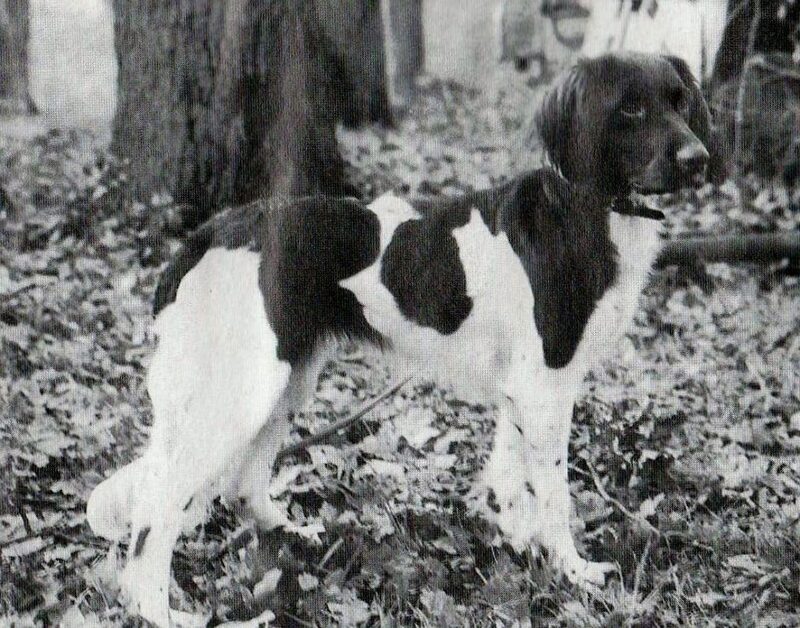 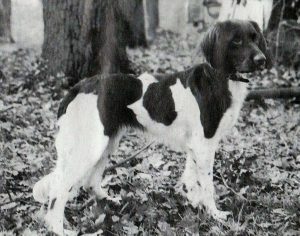 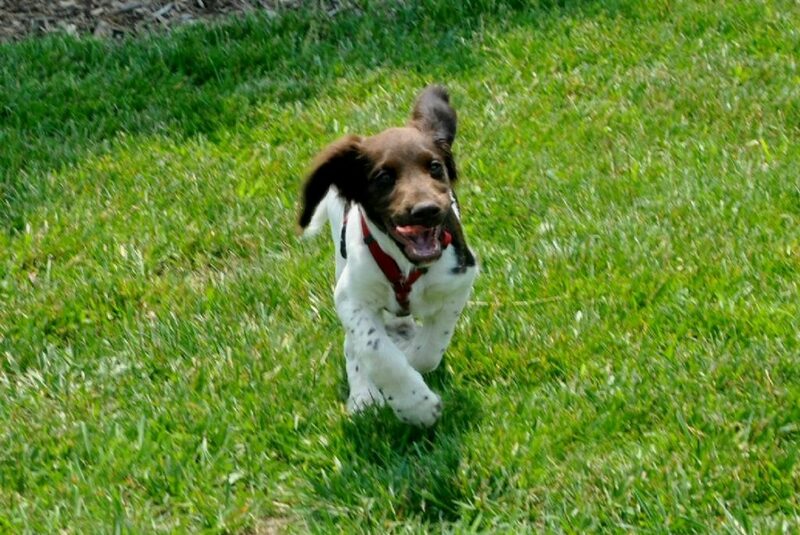 Ka$h has been a natural retriever from a puppy. 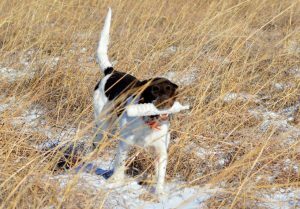 He a very soft mouth retrieving grouse, pheasants, prairie chicken, quail, turkey and ducks without putting a tooth mark in them. 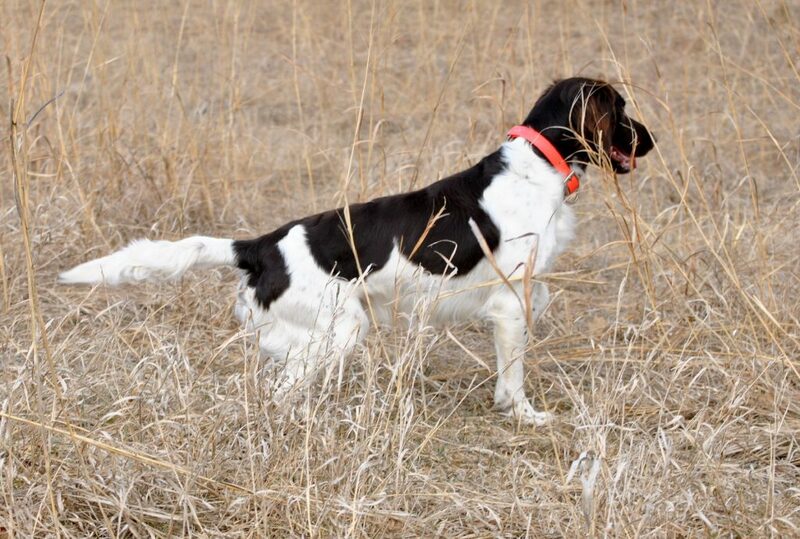 If the bird is alive when he picks it up, it will still be alive when he delivers it to hand. 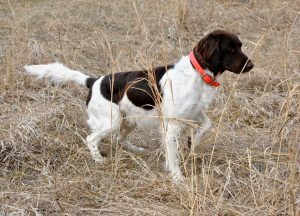 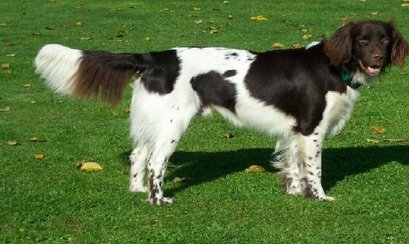 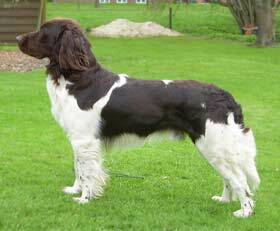 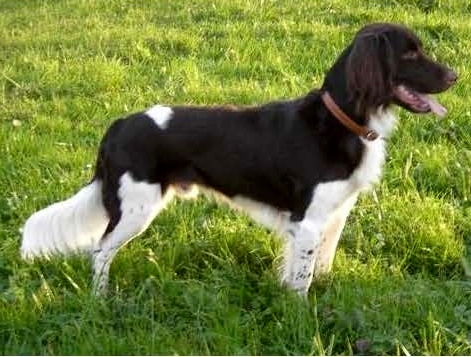 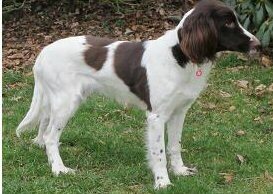 Many times he has tracked a wounded pheasant or turkey for 100 to 200 yards then retrieves it to hand. Ka$h is a relentless retriever and will play bumper retrieve for hours. Ka$h is a fast and meticulous hunter, who stays in gun range and checks in often. 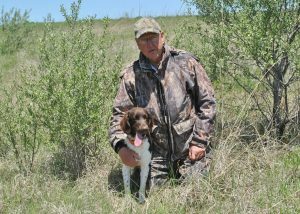 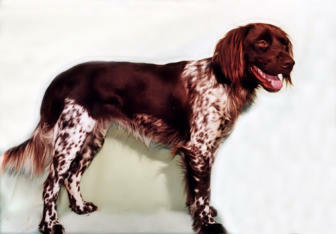 He is very obedient and a real pleasure to hunt with. He is the perfect guide dog! 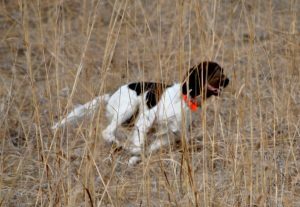 Ka$h’s puppies have earned four SMCNA Sire’s Award & sired NAVHDA NA Breeders Awards for Hunting Hills’ BB Litter, Hunting Hills’ CC Litter, Timber Trail’s F Litter, and von Maple A Litter Sire Award.